Give the exterior of your car a thorough cleaning and restoration of its gloss. Permanent removal of swirls and minor scratches (scratches that you can't feel with your fingernail) and hand application of Carnauba Wax for the best shine and protection. Starting prices are for smaller vehicles (Smart Car, Miata, Cayman, etc). Prices vary based on vehicle size and condition (children, pet hair, mold, etc). Final price given upon vehicle assessment. This package is suited for newer cars or lightly scratched and swirled paint to bring the maximum shine back to its original state. This package consists of a cutting stage with a compound and a polishing stage to finish. 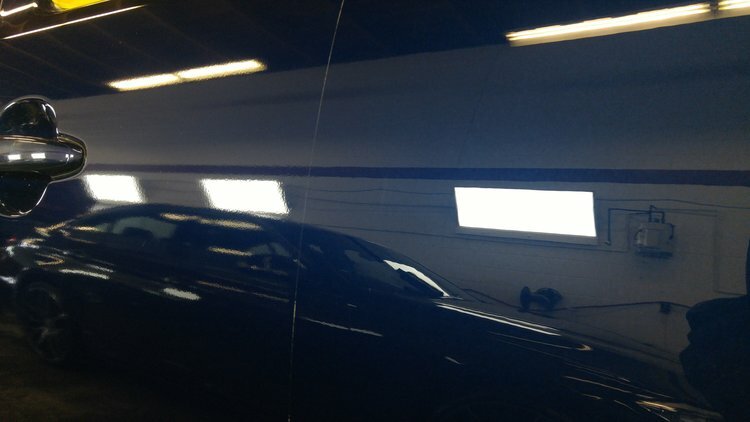 Safely removing and permanently correcting heavily swirled and scratched paint to restore it to that showroom finish. Using fine grade sand paper and sanding discs (2500-5000 grit), we remove deeper scratches, random isolated deep scratches, and orange peel from repainted panels. Very deep scratches that cannot be removed will look much smoother and less visible. Price will vary depending on severity of defect(s) in paint, amount of sanding required, and time required.